There were many issues facing Steve Darcis in the first round of this year’s Wimbledon Championship, though his small height situation was among the least of them. A more looming concern was incarnated by the man across the net, known in the business as the big Nadal situation. For those of us watching at home the real issue was the commentary, delivered by men whose enthusiasm for tennis wasn’t matched by a commensurate command of the English language. As ever the urge to sound clever yielded pompous verbiage. Couldn’t they just say Darcis was short? Of course, Darcis, who hails from the region of Western Europe known for its Belgian situation, ended up winning. His Nadal situation proved less parlous than had been forecast. The rest of us weren’t so lucky. Whereas a routine Nadal victory would have resulted in merely forgettable commentary, the upset of the year inspired the more ambitious commentators to go for baroque. Their instinct was to match spectacular visuals with coruscating wordplay. It was not necessarily a bad instinct to have, and in some cases worked out to everyone’s benefit, except perhaps Nadal’s. The best commentators rose heroically to the occasion, because they are the best talkers. In too many other cases, however, sound instinct was undone by bad technique. One’s eagerness to poke fun at poor commentary should not be construed as a comment upon the relative difficulty of the task. This should go without saying, but sadly cannot. The most common defence of bad commentary is that it is harder than the armchair critics fondly believe. This may well be true, and indeed we are afforded daily proof that commentary is the hardest task in the world to get right. But this in turn begs the question of why, if it is so hard, so many patently unqualified people are employed to do it and why so many blithely assume they can do it well. Maybe they were misled. I’m sure Barry Cowan didn’t think it a particularly taxing gig when Sky Sports offered it to him. I suspect he still doesn’t find it very taxing. Perhaps that’s the problem. Either commentating is easy and anyone can do it, or it’s hard and few can. I don’t see how you can have it both ways. That being said, I’m also not convinced it matters, because, whatever the case, there’s no reason to put up with professionals doing it badly. Nor does its putative difficulty render it immune to critique from listeners. Proficiency at a given task is not a prerequisite for noting when it isn’t done well. If a tradesman does a shoddy job repairing my washing machine, he isn’t above reproach simply because I cannot do a better job. No doubt any attempt to fix it myself would instil a heightened respect for the complexity of the task, but it wouldn’t alter the fact that repairing white goods is something that can be done well, and that a more competent repairman would have left me with a working appliance. The existence of good commentary proves that bad commentary isn’t necessary, despite strong evidence to the contrary. 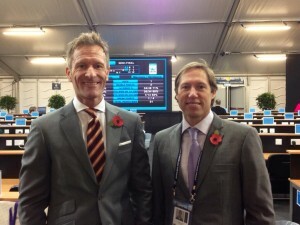 Commentary is a little like tennis, in that some are more suited to it than others. The key difference is that bad tennis is self-correcting. Players who underperform typically lose matches, and consequently see their ranking decline. Weak commentators get a pay rise. Of course one’s view of what constitutes weak commentary is ultimately a matter of preference: one person’s Robbie Koenig will be another’s Cliff Drysdale. (I’ll leave to one side the tendency of various fan-bases to organise themselves tribally according to perceptions of bias, measured with instruments so hypersensitive they leave the James Webb telescope looking like a dowsing rod.) Ultimately there’s no use arguing matters of taste. I understand that my preferences aren’t likely to be shared by others, especially since I place no importance on whatever opinions the commentators happen to hold. I don’t care which players they favour, so long as whatever they have to say is said well. Sometimes I’d prefer it if they didn’t talk about tennis at all. I invariably enjoy listening to Craig Willis on AO Radio more than any ‘proper’ commentator, and he only ever mentions the tennis when the person sharing the booth shoves their elbow into his ribs. But perhaps he isn’t to everyone’s tastes. Some fans love Boris Becker. I find him tiresome and obvious. It has been pointed out elsewhere that many viewers initially like John McEnroe, but find him harder and harder to take as they grow more familiar with the sport. Lines that seem insightful at first sound platitudinous after a while, his inclination to self-promote can be wearying, and his ignorance of players ranked beyond the top twenty is deplorable. Apparently there are Americans who enjoy Brad Gilbert’s work, but then there are Americans who enjoy spray-on cheese. Conversely some viewers cannot abide Mats Wilander, but I think he’s okay. I appreciate the way he doesn’t feel a serious point must be freighted down with excessive solemnity. Granting for the moment the near-insurmountable difficulty of the job, surely we can conclude that the skillset required for a good commentator is not the same as the one required to be a great tennis player. Achieving renown as a player certainly doesn’t preclude a talent for calling matches, but nor does it guarantee one. Why then do television networks fall over themselves to hire ex-players? It probably comes down to trust, and the fact that most people watching coverage of a tennis match (or any sport) probably don’t know all that much about it. For viewers who regard the basic rules as inscrutable arcana, there’s doubtless a measure of reassurance in having those rules explained by a well-known champion. Wedded to this is the assumption that the well-known champion boasts a deeper insight into what the players on court are currently thinking and feeling, having been there and done it themselves. All ex-pros believe they possess this special power, though only McEnroe seems convinced he is clairvoyant. It is the natural conceit of all disciplines that their inner workings are impenetrable to the mere layperson, a conceit often propagated by a clergy intent on making its presence essential. In the case of theoretical physics this assumption is justified. In other cases, such as tennis, it isn’t. Networks naturally milk this assumption for all it’s worth, and they aren’t wrong to do so. When Channel 7 brings in Lleyton Hewitt to commentate at the Australian Open – he usually enters the booth one round after he has exited the main draw – they always cut a promo in which he promises us plebeians that we’ll be vouchsafed a unique glimpse into the workings of each player’s mind. For those of us who’ve both watched and played a great deal of tennis, Hewitt’s insight usually turns out to be less unique than advertised. Mostly he says the same stuff as the other commentators, although I hasten to concede that there’s enough original material to justify his spot. It is in the specific details that players like Hewitt add real value. When, during David Ferrer’s abject loss to Novak Djokovic at this year’s Australian Open, Hewitt revealed precisely how he himself had responded in a near-identical situation the year before, he was providing a level of insight available nowhere else. It was excellent commentary. In his first year with Channel 7 he mentioned that he and Nadal often play golf, and that the Spaniard is just as competitive on the course as he is on the court. Again, it was specific detail, and fascinating. Koenig is another with a tremendous memory for the key facts, often acquired personally. What a treat it was to hear him discuss Radek Stepanek’s early days on tour, and how the Czech had grown so disillusioned he’d almost quit. I’d never heard that anywhere else, but even if I had it’d be worth hearing it again from someone who’d seen it firsthand. Koenig was there. But no one can sound like that all the time. There’s only so much to say. Even Darren Cahill, who I consider to be the best commentator going around, has to repeat himself from time to time. He is right to do so, since his material isn’t infinite and he cannot assume that today’s viewers are yesterday’s. Most commentary is merely filler, and it is here that the real pros earn their salary. This is the moment when weak commentary becomes helplessly mired in cliché – the essence of which is not falsity but lifelessness – and homilies. The capacity to make a general point in an interesting way is one that we am bound to consider exceptional among ex-champions. The colour guy is there to supply just that, but the backbone of the call must be provided by those with an assured command of language, such as Jason Goodall or Gigi Salmon. One mustn’t necessarily speak flawless Queen’s English, like Frew McMillan; again, Cahill’s conversational style is fine, as is Peter Fleming’s. All share the ability to convey serious points with a light tone, and to let the tennis speak for itself when it can. The real problem comes from those giftless orators convinced they are Cato the Younger, especially the type who believes that ‘small height situation’ is an improvement on ‘short’. Becker has some notoriety in this area, and Roger Rasheed’s passion for jargon is unsurpassed. For me, however, the exemplar remains the transcendentally pretentious John Alexander, now mercifully retired. It is always worse for a commentator to overestimate his or her stylistic mastery than to be ignorant of style at all. For anyone who works with language, including writers, an awareness of the power of words is lethal when possessed by those ill-equipped to harness it. At least those innocent of linguistic intricacy will occasionally stumble out of their own way while they make a useful point. The overwrought stylist will never do that, though, since they instinctively know that key moments should be accompanied by the most incandescent displays of technique. Thus it is that a merely workmanlike commentator such as John Fitzgerald is far preferable to a portentous buffoon like Alexander. Alexander, or JA as he was called by those forced to work with him, was without question the worst commentator I have ever heard across any sport. His dark gift was to combine a narrow and dated knowledge of tennis with a delivery so relentlessly grating that you were left to wonder (and regret) how phrases that lacerated your brain could somehow leave your eardrums intact. Temporary deafness would have been a mercy. Apparently unaware that television differs from radio in its ability to transmit images, Alexander’s most reliable trick was to very slowly recount the point everyone had just watched, in granular detail and a reverential murmur, as though he was narrating Napoleon’s coronation. The early stages of Jim Courier’s current tenure with Channel 7 were a fraught time for the American, quite aside from the moment he first laid eyes on the anchor Joanna Griggs and inquired on air who ‘that bimbo’ was. He clearly felt nothing but contempt for Alexander, a feeling that was apparently reciprocated. Channel 7, subscribing to the dirt-common belief that mutual animosity might generate memorable frisson, ensured they always shared the commentary booth. Alexander’s knowledge of tennis more or less atrophied in 1986, while Courier as an elite player popularised the tactic of running around the backhand to unload on the off forehand, one of the pillars of the modern game. Thus would Alexander roundly admonish any player who ran around his backhand for leaving the court open, while Courier would wearily point out that this is how tennis is now played. Alexander felt it was too risky. Indeed, he was a passionate advocate for caution, believing that everyone should ‘play within himself’. This was a common phrase of his, along with ‘he measured the ball, and hit it for what it was worth.’ He would condemn qualifiers who over-hit against Nadal for not playing within themselves. Courier, his patience at an end, would try to point out that their only chance was to go for everything and hope it went in. JA wouldn’t hear of it. Courier told JA he sounded like a broken record, in a tone of voice that suggested he was willing to rearrange JA’s face to match. He clearly wanted to hit JA for what he was worth. We are sometimes cautioned that sports and politics should not mix, in the naïve belief that sport could remain free of politics even if it wanted to. Thankfully politics does intervene from time to time. In 2010 Alexander became a member of Australia’s federal parliament, winning the seat of Bennelong as a conservative candidate – his platform was radically progressive compared to his approach to tennis – defeating the immensely capable Maxine McKew. It was a shame McKew had to go, but it was probably worth it to get JA off my television. His politics aren’t mine, but long may he serve. If you believe, as I do, that the means by which professional tennis is transmitted to the general public cannot be usefully subtracted from the overall package – i.e. that television is not tangential to the sport’s function as entertainment, but fundamental to it – then it follows that the commentary matters. I have always written about it as if it does. Nevertheless, I’ve no desire to grade a list of all the commentators to whom I’ve ever been subjected. Even if there was space there would be no point. I’ve probably mentioned most of them over the years. Suffice it to say that there are a couple more whose work I enjoy, and many more whose efforts I find ridiculous, yet still enjoy. There are hardly any from whom I can derive no value at all, and mostly those few sin through being dull rather than wrong. Invariably their dullness reflects a degree of verbal poverty – people who don’t speak well tend to sound the same – which is mostly the result of a mistaken assumption that their business is tennis and not words. The result is not the end of the world, however, merely tedium, or as some would have it: a boring talking situation. But such cases are rare. Most commentators manage to be interesting at least some of the time, if only by accident, and the truth is that bad commentary only makes writing about tennis more fun. Of course, Darcis, who hails from the region of Western Europe known for its Belgian situation, ended up winning. His Nadal situation proved less parlous than had been forecast. The rest of us weren’t so lucky. Whereas a routine Nadal victory would have resulted in merely forgettable commentary, the upset of the year inspired the more ambitious commentators to go for broke. Their instinct was to match spectacular visuals with coruscating wordplay. It was not necessarily a bad instinct to have, and in some cases worked out to everyone’s benefit, except perhaps Nadal’s. The best commentators rose heroically to the occasion, because they are the best talkers. In too many other cases, however, the sure instinct was undone by bad technique. Pretentiousness – especial the unconscious kind – is certainly the worst sin. But lack of preparation can be almost as stunning. I shall never forget hearing a radio interview with the venerated Herb Elliott – sporting idol of my youth – before the Sydney Olympics. Asked to give an opinion about the prospects for a 1500 metre heat, Elliott hesitantly volunteered that it would be tight “because there are several very well-performed… performers” in it. I still cringe today when I remember it, but why would anyone expect a great runner to be an articulate speaker? Personally, I enjoy listening to Big Boris (as we call him in our family). He somehow manages to turn to advantage the obvious fact that English is not his native language. But I appreciate any commentator who refrains from pretentious language, avoids stating the obvious, and occasionally gives us insight. I completely agree about lack of preparation, and, though I didn’t mention that in my post, I often find that this is more common the bigger the name. The biggest names of all can get away with making very general points indeed. Sometimes they make a virtue of it. There was a delightful passage during the semis of last year’s AO when Pat Rafter was commentating from the stands, and charmingly admitted that he almost never actually watched tennis. In this instance it worked well, since the amazement he expressed at watching Nadal and Federer go at it from close range was entirely genuine. But I wouldn’t want to hear the same trick repeated constantly in main commentary. I’ve written before about John Fitzgerald, and his wonderment at finally getting a look at Dimitrov, or Dimitriov as he kept calling him. Pointing out that Dimitrov looked a bit like Federer might have been useful three years ago, but it happened this year, and it was abundantly clear that Fitzgerlad simply doesn’t watch that much professional men’s tennis. This is not to denigrate the other excellent work he does in grassroots tennis in Australia, but in this instance he was a commentator, and wasn’t fulfilling his role adequately. He was, as you say, unprepared. As a German I find it amusing that Becker is still able to get those high profile commentating jobs in the UK. No one here takes him seriously anymore, but sometimes I still enjoy listening to his inane remarks. To see Gred Rusedksi getting increasingly annoyed with him during the WTFs was quite funny I thought. And Rusedski isn’t an easy man to annoy, unless, like Boris, you interrupt him. I’m very curious to know why Germans no longer take Becker seriously? Canadian tennis fans have an additional problem – American commentators, not just at American tourneys but at Canadian ones as well. The biggest drawback is that if an American player is against a non-American, all you hear about is the American player. It’s almost as though the other player isn’t even there. It was so bad at one Rogers Cup match, with Tracy Austin doing the commentary, that the other broadcaster, not a tennis expert, starting talking about the American player’s opponent, acknowledging she was on the court. To be fair, Jimmy Arias doing the commentary for the men’s side, did a much better job, with good analysis and keeping it real for the rising expectations of Canadian fans, giving both praise and criticism as warranted. I must confess, I have hardly ever heard Jimmy Arias, but I have only ever heard good things about him. Australian commentators can be just as parochial – Newcombe on Tomic is something else – with the key difference being that none of our players ever last very long in any given tournament. There’s also the strangely cringing Aussie tradition whereby no AO tennis commentary team is complete unless it has an American voice in a key role. It’s a version of the old practice whereby visiting American movie stars would be asked for their opinions on Australia even as they first stepped onto the tarmac. The same principle was at work last year when Meatloaf was paid a million bucks to disgrace himself at the AFL grand final. Currently the American voice belongs to Courier. It used to be McEnroe. I think to an extent John Alexander objected to Courier purely on that principle. I might have agreed with Alexander on principle – a first – but for the reality that the American imports are always better than the alternative, which was to have JA impeded by no one. This is a pure jewel! Delightful read! Will you join me in having a compassionate thought for Steve Darcis and his shoulder situation? He suffered an injury during one of his too enthusiastic dives in the Wimbledon match and, after an extensive surgery, he is still in lots of pain, hoping to restart the competition earliest in April. I’d love to see him back on the court! I certainly do wish Darcis all the best, and hope for a full recovery. I love his style of play. I’m sorry to hear you miss out on commentary. I find it hard to be without, to be honest. Even when I write about a match I am actually attending, I long for the trimmings of coverage, and frequently resort to writing about the other stuff going on around the players. Sometimes I’ll watch the match again, just to have something else to write about. It has probably something to do with his tax evasion issues, as well as having a new girlfriend every 2 years, spilling private details about his exes in his autobiography and generally making a fool of himself on TV (I remember an interview where he talked about himself in the third person). But it also coincides with the fading popularity of tennis in the country, which leaves him with few opportunities to redeem himself as an “expert” like your average dumb football player. That’s a comprehensive and convincing list. I’m sorry to hear that the popularity of tennis is fading in Germany, although like everywhere else I imagine popularity is contingent on having a roster of world-beating champions. I cannot promise an Annual in time for Christmas, and I’m also sorry for the lack of updates recently. But there should be an Annual sometime early in the new year, as well as something rather better than an Annual. In the meantime, have a great (not-too-white) Christmas. The only guarantees with mine is that it won’t be white at all, and will involve a lot of driving. Knowing that there will be an Annual and more sometime early in the new year will already embellish the Christmas tree… En-Joy the green sunny Christmas and the driving. Whenever you are back here, you will be welcomed with open arms and grateful hearts. Jesse – I love your writing, but basically you could have stopped after, “Ultimately there’s no use arguing matters of taste.” 😉 It is why some are Fed fans and other Rafalites…some love Novak and some, amazingly, love Andy Murray and others can’t stand any of the top guys and light candles to the advent of someone, anyone else. Same it true of the commentators. About 90% of the tennis fans, (who get US commentary) I ‘know’ from tennis boards, HATE, and I do mean HATE, Mary Carillo. I fully agree that she has grown lazy and woefully inaccurate in checking even the most basic facts; she will beat a dead horse long enough to give it life and then beat it to death again. And again. Her ‘insights’ have faded as her own tennis career fades further into the twilight, while her other sports reporting take more of her time. In short, she is pretty much a tennis commentary mess. And yet….she totally cracks me up. Her silly cackling laugh, flight of metaphorical looniness and the general level of, ‘hey its only a game,’ win me over and over again. And every once in a while she hits just the right phrase at just the right time and captures the zeitgeist of an entire match. But that’s just me. And like 2 other people. But, whaddya gonna do? The heart wants what it wants, and the rational brain has little input. I can’t stand Jimmy Connors, on so many different levels, and yet the few times I have heard him do commentary, I found him to be very good. The one time Andre Agassi did a set’s worth of commentary at the US Open a few year’s ago, (Federer d. Roddick), he, like Hewitt, was fantastic. In part because in the VERY near past, he had played both. Also, the ‘never stop talking, leading to endless repetitions’, stems from the days of radio when the thing most feared by all was ‘dead air’ – (except by BBC radio, who apparently never feared it at all), and it has carried over into tv, despite the fact that there are actual picture we can see.